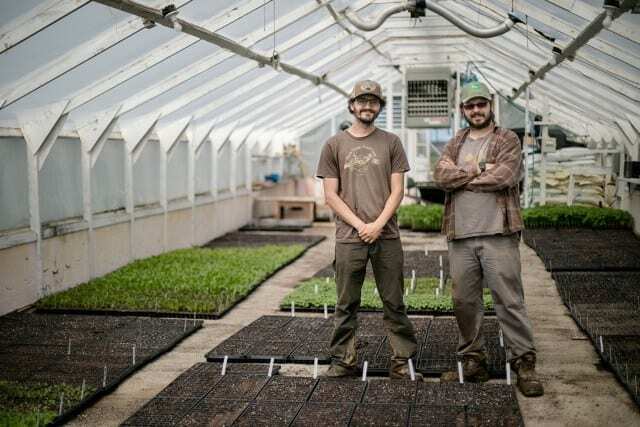 Allan and Bob Cat, owners of Main Street Farms in Homer NY, are graduates of Groundswell Center programs who now operate a small diversified vegetable farm that does CSA and wholesale and farmers markets. They currently have 30 acres in vegetables, 15 in cover crop, a aquaponic operation, and a plan to farm their entire 150 acres in 3-5 years. The farm has been in operation for 6 years and employs up to 15 people. How did you decide to become farmers? Bob Cat: Allan was a highschool Social Studies teacher and started to see a connection between his students having trouble learning and what they were eating for lunch – often a bag of chips and a bottle of soda. This inspired him to get more involved with food. Originally he started researching aquaponics and then bought a flower nursery in Homer which is when he asked me to come join him. I was working as an outdoor environmental educator at the time, also with kids, and the food that they were being fed was also not very good, which also led me to think about eating better food. So for both of us, it all started with education. Allan: This work is important on different levels. 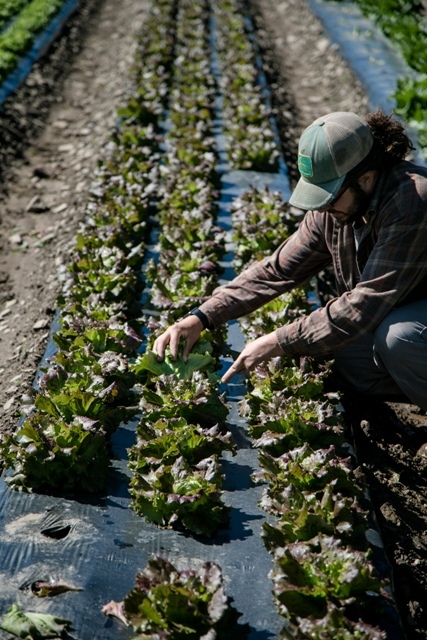 The most basic level is from an environmental quality perspective as we’re an organic farm so we take care of the soil and the environment much better than bigger conventional farms. The next level is that we’re growing food for our local community so we’re helping people to eat better, eat healthier, eat what’s in season, and not go to grocery store so much. And then on a whole different level, we have a decent-sized farm business and a bunch of employees which makes us feel really good that we can provide jobs and employ people, and take part in our community that way. What advice would you give your beginning farmer selves 5 years ago? Allan: Personally, I would say visit as many farms as possible, work on a farm for a year or two ,especially if you’re unsure what scale of farm you envision, and make sure you like the work. Also remember that as much fun as it is being outside farming, it’s still a business …at some point you’ll have to pay some bills. Bob Cat: Neither of us actually grew up on farms or even spent a full season working on farms before we started Main Street Farms. We were either avid gardeners or did some WWOOFING. 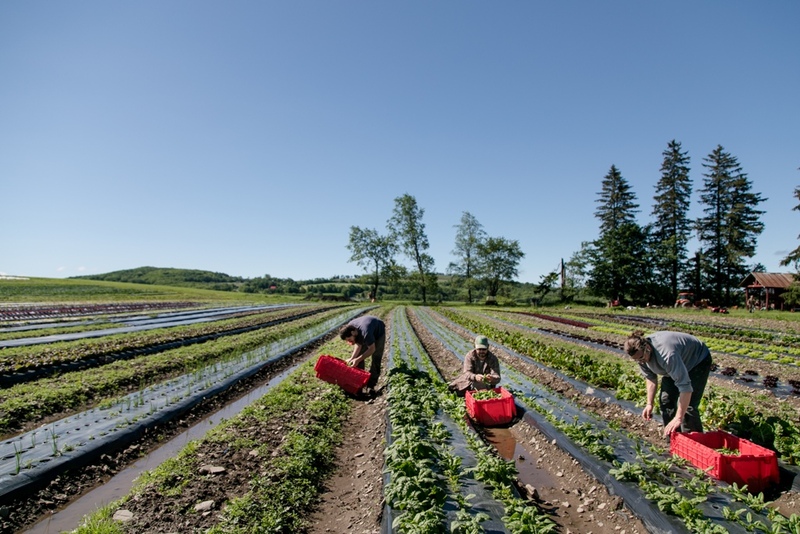 Groundswell programs were our saving grace in that they provided an accelerated crash course into farming even though we went into it without full-season farming experience. Even more importantly than the things we learned, were the contacts we made with some of our mentors, especially having someone like Todd McLane (who now manages the TC3 Farm) on speed dial. But to echo what Allan said, take the time to work on other people’s farms, make your mistakes somewhere else, and get your ducks in a row to make sure farming is really something you want to do. 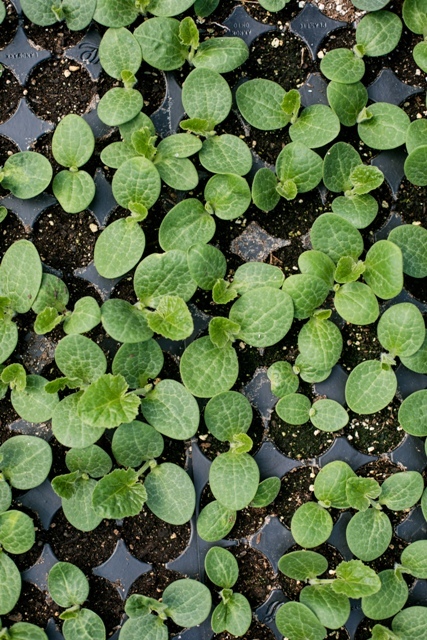 How did you get started with Groundswell Center for Local Food & Farming? Allan: I got involved with Groundswell when they were a brand new organization in their first year ever by taking their year-long Sustainable Farming Training Certificate course. I also took their Farm Business Planning Course and I went on multiple Finger Lakes CRAFT tours. Bob Cat took the Sustainable Farming Certificate Course in its second year, which I think they changed and no longer offer. How has your relationship with Groundswell grown since then? Allan: We did some advisory work for a while but then got super busy because the farm keeps expanding like crazy every year. Bob Cat: We’ve also attended workshops, taught workshops, go to meetings, go to events, provided donations, and more. We try to help Groundswell on a multitude of levels and whatever way we can. What would be different if you hadn’t taken Groundswell courses? Bob Cat: I think the farm would be way behind and much smaller, and we probably would have made more mistakes and relied a lot more on internet searches for information. Allan: Also if we didn’t take Groundswell courses, we wouldn’t have tapped into the network of some of the most amazing farmers in the Finger Lakes who have been successful vegetables farmers for a long time and who are very willing to share knowledge and resources with us.